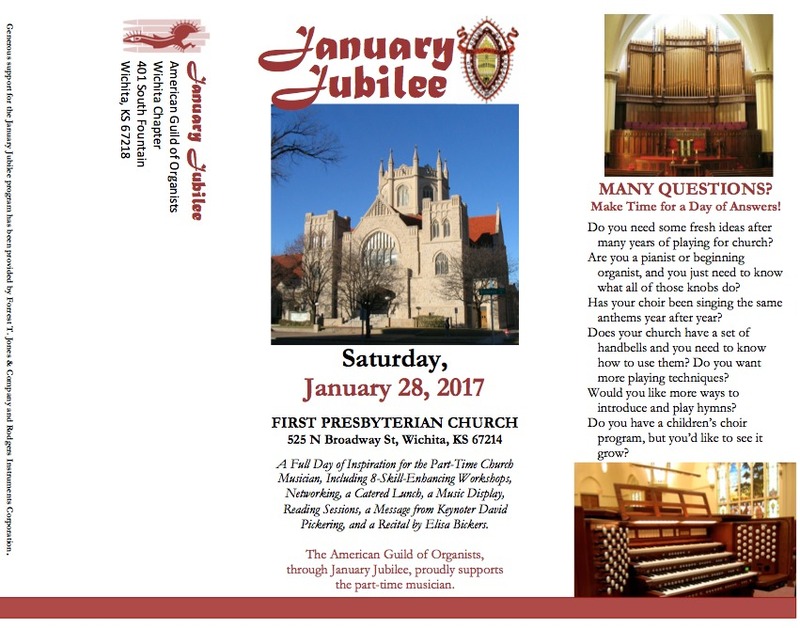 Submitted by Christopher Shaw, January Jubilee ChairDo you need some fresh ideas after many years of playing for church? Are you a pianist or beginning organist, and you just need to know what all of those knobs do? Has your choir been singing the same anthems year after year? Does your church have a set of handbells and you need to know how to use them? Do you want more playing techniques? Would you like more ways to introduce and play hymns? Do you have a children’s choir program, but you’d like to see it grow?